Except for the IV, they were great patients! Unfortunately, I did not have my cell phone/camera with me in the prep room to get shots of the boys in their hospital gowns riding a motorized Harley Davidson down to the surgery room. Bummer! But, these shots from recovery were taken when Tim joined us with his cell phone/camera. UPDATE: Brian and Michael made it through their surgery this morning with flying colors. The surgeon felt it actually went better than he expected, removing more of the tonsil than he thought he'd be able to with only a very small area left to cauterize. The boys made a miraculous recovery, awakening from their anaesthesia-induced sleep within 10 minutes of the surgery being completed. Requiring only 1/4 of the morphine pain-reliever to ease their mild discomfort before our departure. And, making it home by noon, a half hour earlier than we expected in our "best case" scenario. They've had plenty of apple juice along with some bananas, ice pops and chocolate pudding... Now, happy to be home and resting comfortably -- actually sound asleep on the couch as I type -- with "Hook" playing scenes from Neverland in the background. Time will tell with regards to the success/outcome of the procedure to solve the problem at hand... but it certainly cannot be worse than it was. Our MD estimated at least an 80% improvement in their sleep/sleep apnea. Ssshhh! I don't hear any snoring! Besides, any improvement would be welcome. We're looking forward to a week of ice-cream, yogurt, pudding and no school to ensure there's no bleeding or complications. It should be lots of rest and relaxation and healing for us all. Not to mention a little fun mixed in... 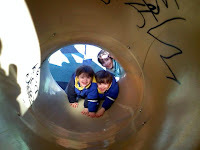 I don't get to spend long stretches of time with my boys much anymore since they started preschool. So, thanks, once again, for all the prayers and well wishes. Usually presented as a panel of experts in the field that includes representatives from several Down syndrome organizations and family members touched by Down syndrome, occasionally, as is the case this time, the program includes a series of single speakers at different times. Stephen Lazare is a partner at the Manhattan law firm of Lazare Potter & Giacovas LLP, where he heads the firm’s insurance coverage/litigation group. Steve is a 1985 graduate of Albany Law School of Union University, where he served as the Editor-in-Chief of its Law Review, and a 1982 graduate of St. Lawrence University where he earned a BA in Economics. He is active in the New York State Bar Association, currently serving as Vice-Chairman of its Section on Insurance Coverage and is a frequent lecturer and author to the legal community. Steve previously served on the board of Child Hope International and other non-profit organizations. He was a member of the NDSS New York City Buddy Walk Steering Committee in 2004 and 2005. Down Syndrome Research and Treatment Foundation (DSRTF) was founded in 2004 by a dedicated group of parents and leading scientists who are committed to finding treatments to improve cognition and prevent early dementia in persons with Down syndrome. NOTE: Jack Dean, who was originally scheduled to speak at this event, is unable to attend. UPCOMING EVENT: Don’t miss next week’s talk -- Saturday, April 4, 2009 at 12:30 p.m. -- given by Mike Hoffman on advocacy efforts towards inclusion. I'm so thankful that this tonsilectomy/adenoidectomy surgery is finally going to be BEHIND us! And, hopeful that it'll be a quick and painless recovery with everything turning out okay. (read: I get to sleep through the night along with the boys!) Then, I'll be able to move on to the rest of our lives without constantly thinking, blogging and worrying about these 2 hours of surgery. I'm glad you can't flunk Weight Watchers. Haven't stepped on the scale lately and Friday's are my weigh-in day... Fortunately, I'll be missing my meeting tomorrow. Just as well. Not sure I did so well this week with all the stress eating going on. Can you say "Cadbury chocolate eggs"? I guess I'll suffer the consequences next week. I'm thankful that my nephew's tachycardia is not life-threatening (per the surgeon). And, I'm hopeful that the second time's a charm. The poor kid has to go through it again. Jimmy could use all the prayers he can get on 4/1.... Thanks, in advance. I'm happy my hubby finally got the wainscoting cap-trim nailed on and the vanity kick plate installed yesterday. Slow and steady wins the race. Right? The building inspector might not agree but at least he was sympathetic to our situation and gave us a sort of extension yesterday when he popped in for a surprise visit to see how much progress we made against our still-pending 2003 building permit. All I can say is, "We're working on it!" I'm thankful there's less than 3 months left to summer vacation. NO MORE MATH! I just don't think I can stand much more of the struggle we have every night over Olivia's math homework. Well, it's prep time for tomorrow's surgery. Wish us luck and/or keep us in your prayers. BTW, I'm truly thankful for this outlet and for all the "listeners" here that I know and don't know. A heartfelt thanks to each and every one of you! However, in the midst of my family-centered anxiety, I suddenly realized there are actually quite a few unheralded angels lurking quietly in the background of my life. My family! My sister, Patti, who's busy with a life of her own, called to let me know that she took Friday off to be here for Olivia so my husband and I can attend to Brian and Michael without worry. She plans to be here at 5:45am when we depart for the hospital, to wake Olivia at 7 if necessary, get her dressed, fed and off to school on time and to let the dogs out as needed throughout the day until we get home. My sister, Loree, called to say she'd also be here to help and/or relieve Patti once she got her own kids off to school for the day. Then, my mother called to assure me that she will be here Friday afternoon to attend to Olivia when she arrived home and to help as needed when we bring the boys home. 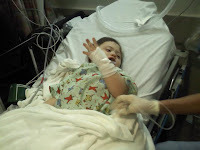 And, finally, my father who is always there to pick Olivia up from school, assured me that he will be there on Friday and will bring her home, deliver her safely to my waiting Mom so that I don't have to worry about her if we're still at the hospital and I don't have to leave the boys if we're already home. So, when all is said and done... it's my family that will be taking care of me and my children. It's estimated that the whole process will take 5 hours assuming the boys wake from their anaesthesia in the expected amount of time. History has prepared us that it might take longer than expected. That said, we really have no idea when we'll all be able to come home. It's also unknown just how they will react to the surgery. I've spoken to numerous adults who remember excruciating pain and difficult recoveries from their childhood tonsillectomies. I don't know what to expect from the boys. Will they be weepy? Achy? Drugged? Sleepy? Or, perhaps they'll be out swinging on the backyard swings within 3 hours of their surgery like another friend's child was. Who knows? But, what I do know is that my sisters, Mom and Dad will be here to help me out in whatever way I need... and I'm so thankful for this. They are truly Angels Amongst Us and I appreciate their presence in my life now and always. Leading By Example & Doing the Right Thing! This morning on the way to dropping the kids off to their respective schools, my go-cup of tea fell over and spilled all over the floor of the car... right where my pocketbook could sop up the hot, milky liquid... Of course! Olivia saw it first and yelled, "Spill! Spill!" I, of course, NOT leading by example, responded with, "SH$&*!" OK, cut me some slack... It is Monday and, mostly, I don't curse. Besides, my 7-year-old daughter already let me know that I was NOT setting a good example. "MOM!" As a matter of act, Olivia recently told me that I use the phrase, "Holy mackeral, Andy" too much. She asked that I please replace it, sometimes, with "holy cow!" On another occasion, my daughter was watching another of her new favorite movies, "Men in Black". I know, I heard your collective gasps. Yes, I purchased this movie for my daughter who ABSOLUTELY loves it. And, as an added bonus, my boys ABSOLUTELY love it too! It's Michael's current favorite! In my defense, I hadn't remembered, when I bought the 2-volume set, that the language in these movies was so bad. I mean, it's been 12 years since the first movie came out. And, it's not as bad as the movies out today (no F-word) but it isn't too good for young kids either, in my opinion. And, yet, here we were watching it. Strangely, my daughter and sons completely overlook the language for the action. (Yeah, maybe some of the action's not so good either... but they LOVE it!) As we watched it for the umpteenth time one evening, and upon hearing Agent J swear at yet another alien, I took it upon myself to explain that some people think that using foul language is cool. But, I explained, in fact, it shows a serious lack of intelligence. There are so many more descriptive words in the English language that are better at communicating exactly how you feel.... Resorting to these overused and over-generalized profanities is ineffective if you really want to communicate your displeasure to someone. That's the argument my father gave me many years ago... and it's more or less worked for me. More or less. The first time I heard someone ream another person out without using profanity I was completely blown away. He was right! A reaming without profanity is much more impactful (try it). So, here I am trying to explain to my daughter that even though she's going to hear language like that in movies, on the playground, in my car sometimes, and pretty much every where in life, it doesn't mean that she should USE language like that herself. Nodding, I could see that she completely accepted this. However, after a long moment's pause she added, "Mommy, is there a time when those bad words are EXACTLY the right words for saying what you mean?" Are you chuckling the way I was? Man, why are kids so smart? "Yes, Olivia, there are times when those are EXACTLY the right words to use. Not often. But, sometimes... Yes!" Fast forward to this morning's tea mishap. It's important to lead by example especially for your children. Kids do as we do and frequently overlook what we say.... Wouldn't you agree? Doing the right thing is also a great way to get a happiness boost for yourself. When I recently spied a woman's pocketbook in the middle of a busy road being run over by passing cars, I stopped to pick it up. It's what I hoped someone would do for me. I perused the contents for identification and promptly returned it to it's rightful owner. Then, I turned down the owner's offer of a reward asking her only to "pay it forward" in what ever way she felt appropriate. I was proud of myself for setting such a great example for my daughter! And, I felt good about doing something nice for someone else. (Random acts of kindness help boost your happiness quotient too!) In the same vein, I know when I talk to my daughter about drinking alcohol and driving that I am a living example of doing the right thing. My husband and I do NOT drink and drive. So, when we tell her about what can happen when you do and that one should never drink and drive, we're walking the walk. And, I try to do this in so many ways every day... picking up dropped items in the stores -- even when I didn't drop it; holding the door open for others (strangers and family alike); sharing my favorite treats; offering assistance to the elderly or overburdened (even when we're in a rush), exercising (as time allows); and eating right (even though I'd sometimes love to sit down with a carton of Ben & Jerry's). I try consistently to set a good example for my children... When they're watching AND when they are not. And, part of that is acknowledging and apologizing when I haven't done the right thing.... Because, it seems, they are always watching when I misstep. On a broader level, my husband and I bought a house well within our means rather than extending ourselves with the $1,000,000.00 mortgage the banks offered us 9 years ago given our salary levels at the time. Things change as we can see from our current economy. I'm a stay-at-home-Mom now. But, the Sarg and I are still able to afford payments on our modest home even on one salary and the 400% increase in our taxes since we purchased it. We do not live above our means and we teach our children this principle by doing without or waiting to get some of the extra stuff others have to help them understand the value of money and the concept of saving up for what you want and earning what you have. I am trying to be individually responsible. And, I'm teaching that principle to my daughter and to my young sons. To the extent I can and do, leading by example and doing the right thing makes me happy. Aside: If I were Michelle Obama, to set a good example I would have bought a sleeveless black gown off the rack -- even at Nordstroms -- for my White House Portrait. Imagine the wonderful example she could have set doing that instead of hiring a designer and spending thousands of dollars on a simple black dress that could have been purchased anywhere. YESTERDAY was World Down Syndrome Day! I was busy running in my Down syndrome circles -- attending the DSAF conference on Best Practices in Educating Children With Down Syndrome held at LIU/CW Post and meeting other families who have children with Down syndrome at the Rockville Centre St. Patrick's Day parade (on Long Island) as has become our annual tradition. As such, I didn't get to post yesterday. 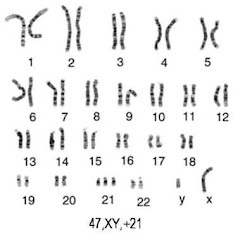 BTW - World Down Syndrome Day is held on March 21st every year -- chosen because 3/21 represents 3 copies of the 21st chromosome. This is also the reason why you've seen more posts from me this week regarding Down syndrome rather than my usual Happiness Project posts. I'd say things will get back to "normal" this week -- my usual posts a day or two late (as usual) -- but the boys are scheduled for tonsillectomy/adenoidectomy surgery this Friday so this will probably be a crazy week as well. I feel like Dory in Nemo... "Just keep swimming. Just keep swimming. Just keep swimming, swimming, swimming!" 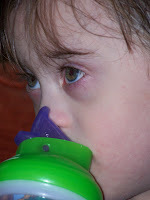 OK, so back to Down Syndrome Awareness then -- a day late and more than a dollar short! Today I'm going to share interesting and/or shocking tidbits of information I've gathered from my life, research, friends and the DSAF conference I went to this past week. The National Institute of Health (NIH) has not sponsored Down syndrome research since the development of the prenatal test to identify the presence of Down syndrome in a fetus. To me, that means they think they've cured or rid the world of Down syndrome via this predictive but fallible and not-all-encompassing test. The physical and cognitive abilities of an individual with Down syndrome vary widely... just like the physical and cognitive abilities of an individual without Down syndrome. 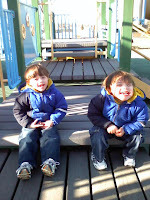 My boys, Brian and Michael, have Down syndrome... But, they are not mentally retarded (per their EI and CPSE standardized test scores AND as determined and communicated to me in writing by the state of NY). As a matter of fact, in every aspect of development, my boys are "in the normal range" for their age. My boys were declined placement in an integrated classroom in a renowned, but still segregated, special education setting. In my opinion, this was because they have Down syndrome. Clearly, the decision was NOT based on their evaluations and test scores or on their cognitive ability. AND, I was told that the decision maker "tried very hard to disregard their diagnosis of Down syndrome when making [her] decision!" Well, she failed! In the big picture, that means, even within segregated settings, children with Down syndrome may be further discriminated against and segregated from other special needs populations. New York State is the 5th MOST SEGREGATED state in the US when it comes to individuals with disabilities. And, to make matters worse, Nassau County is the MOST SEGREGATED county in the state of NY when it comes to individuals with disabilities. I had the pleasure of hearing Brooklyn College student Lindsay Belnick speak at the DSAF conference I attended this past week. Lindsay is a brilliant and provocative advocate for people with disabilities who aptly compared the segregation of people with disabilities in her high school -- who were not permitted to use the cafeteria, the school's front door or to participate in after school activities -- to separate black or white drinking fountains! Things are just beginning to change at her old HS thanks to Lindsay's efforts! The segregation of individuals with disabilities -- including Down syndrome -- is prevalent in all of our communities, schools and work places. Unfortunately, as with the civil rights movement, it appears it is going to be up to those being discriminated against, and champions like Lindsay, to fight for the cessation of such segregation. That means ME! That means my sons, Brian and Michael. That means my family, friends and neighbors! And, that means YOU! Given the current economic situation and budget deficits our local, state and federal governments face, desegregation makes sense. It costs more to build and/or continue to run segregated educational environments than it does to offer support within the integrated environment. States like Vermont are ahead of the curve, including all children with disabilities in their public school system rather than supporting an infrastructure of segregated schools. Research shows that those students with disabilities who have been fortunate enough to be included with their typical peers in educational and social settings are flourishing on every level. WHAT CAN YOU DO? Advocate on behalf of individuals with Down syndrome and/or any other disabilities suffering from discrimination and being subjected to segregation. I recently volunteered to take on the role of Parent-Member within my school district's CPSE division. As such, I hope to help other parents of children with special needs navigate our segregated educational environment and to help them gain approval and support for educational integration if they choose this for their children. I have also recently begun the process of starting a parent/child support group for local families who have children with Down syndrome. I'm doing this because no support groups exist in my area. As you've probably guessed I'm in Nassau County, NY. 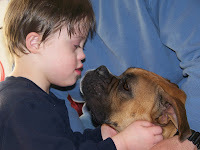 Collectively, we, the families, need to be able to pool our information regarding health, medical and developmental issues as well as education and socialization choices and share it not only with each other but with families who have received new diagnoses of Down syndrome in our community. We also need to encourage, support and recruit for each other's local advocacy and educational desegregation efforts. Watch for more here and on Facebook for announcements regarding our first meeting. In addition, I've increased my DS Advocacy speaking engagements to include 5 local colleges and will continue to grow that advocacy requesting larger and more diverse audiences at the colleges where I currently speak as well as expand into other colleges and arenas (perhaps into the High Schools, Middle Schools and local medical community). And, finally, I will continue to include my children -- Brian, Michael and Olivia -- in my advocacy efforts as well as in the wonderful advocacy events that exist already, preparing them to become self-advocates/advocates for people with Down syndrome too. As young as they are, they are already fantastic ambassadors for people with Down syndrome. I intend to nourish their natural talents in the hope that they embrace the notion of self-advocacy/advocacy on behalf of people with Down syndrome in the future. Got any other ideas for me? Got any ideas for yourself? Need help getting some desegregation advocacy effort you're working on off the ground? Let me know and I'll see what I can do. No, I don't have a magic wand, but I've got a mouth I'm willing to use for this cause and I know a few people. You never know! Your idea might just be the right thing to finally rid ourselves of our separate drinking fountains. I am SOOO thankful that it's almost bedtime because I feel like that Beatles song, "I'm soooo tired. I haven't slept a wink. I'm soooo tired. My mind is on the blink. I wonder should I get up and fix myself a... " No no Ok, not that part but the rest. Brian and Michael haven't been sleeping well because of their soon-to-be-fixed (hopefully) obstructive sleep apnea. 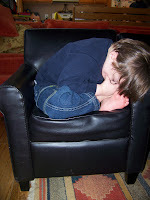 I feel fuzzy... like I could literally curl up and fall asleep in a chair (like Brian did in this pic). It's sort of like the tenet, "If mama ain't happy, ain't nobody happy" except for mothers of young or sick kids, it's, "if babies ain't sleepin', Mama ain't sleepin'." Am I right? Show of hands. Thankfully, I was able to spend the last 2 days at an absolutely wonderful conference on Best Practices in Educating Children With Down Syndrome run by the Down Syndrome Advocacy Foundation (http://dsafonline.org/). Like many folks, we're pretty well spent these days but an organization called LIDDSO (Long Island Developmental Delays Services Organization... I might not have gotten that completely right) footed the bill so that I could attend. I got SO much out of this conference including valuable hands-on ideas and information to help further Brian's and Michael's educations as well as invaluable networking with local Moms and professionals who know everything I need to know about services for the boys and how to access them. I'm grateful that an organization like Weight Watchers (http://weightwatchers.com/) exists and that it's working for me once again (like it did 15 years ago)... albeit more slowly this time around. -8 and counting. I won't ever be ready for a bikini but I hope to be in better bathing suit shape by summer. I'm thankful that my boys are who they are. I've said this before but I can't tell you enough how very lucky I feel that Brian and Michael are so absolutely amazing and wonderful and healthy and doing so well in spite of their Down syndrome. I'm grateful that we seem to have survived another spell of strong-headed, 7-year-old, I-can-do-what-I-want, independent-streak behaviors that are truly unpleasant as parents. Olivia appears to be coming back into her old pleasant self and I'm happy for it. I'm grateful that the snow didn't stick this morning on this first day of Spring. Not what I expected at all... but it turned out ok. It can only get better from here, right? That said, it's bedtime for me and the boys. Early to bed and late to rise makes Mommy a very happy girl! And, the flip side of what I said earlier is also true, "If Mama's happy, every one's happy!" Background: Brain research demonstrates that the stimulation and interaction a child receives during the first 5 years of life are critical to permanent brain development. Early intervention services can prevent or reverse a trajectory of poor development and help prepare children to succeed in school and life, foregoing long-term care and ultimately saving taxpayers money. New York's Early Intervention (EI) program provides free services to 0-3-year-old children who have developmental delays or disabilities. The EI program taps individual insurance to pay for services delivered to children with disabilities who are insured as dependents by their parents. As such, the state does not foot the entire bill for EI services for many children. However, Governor Patterson's 2009-2010 state budget proposal would require families to pay for Early Intervention services, jeopardizing our most vulnerable children's access to needed services. The EI parent fees are meant to garner additional funds for the state from families with children with special needs... putting low income and uninsured children at much greater risk. Families earning as little as 161% of the federal poverty level (that is just $29,000 for a family of 3 ) would have to make monthly payments for each eligible child. If a family missed even one payment, the child would lose EI services and become ineligible for Early Intervention. Families who are unable to provide proof of income would have to pay the highest amount, impeding the eligibility of children of undocumented immigrants, children whose families are homeless, or children who are in foster care. Among other provisions, the proposal would also establish more stringent eligibility criteria for children who need speech services only and would allow the NY Department of Health to limit the number of EI providers, making it even more difficult for parents to find qualified providers in their communities. This proposal would burden low-income families and force many families to lose services that help children develop during these critical early years. The New York State Legislature is slated to revisit the budget as early as the week of March 23rd, including the proposal to charge parents fees for Early Intervention services. It is imperative to spread the word and take action now! Please see below for four easy action steps you can take to oppose this harmful proposal. 1. Call your state legislators and urge them to oppose Governor Patterson's budget proposal to require parents to pay for Early Intervention, included in the Health and Mental Hygiene budget legislation (S. 58/ A. 158), because it would further burden special needs families and force at-risk children to lose critical Early Intervention services. To find your NY State Senator, go to http://www.senate.state.ny.us./ This brings you to the Senate Home Page. Select "Senators" from the left hand column. Select either your Senator's name if you know it or search "Who Is My Senator?" by zip code to obtain it. Then click on your Senator's name and copy down his/her local and Albany office numbers AND make your call. Let your Senator know that you are opposed to the Governor's proposed Early Intervention Parent Fee in the Health and Mental Hygiene budget legistlation (S. 58/A. 158). To find your NY Assembly Member, go to http://www.assembly.state.ny.us/mem. This brings you to the NY State Assembly Home Page. Select either your Assembly-person's name or do a member search by zip code on the upper right hand side of the page. Once you have your Assembly-person's name, select Assembly Members from the left column. Once on your Assembly-person's home page, select Contact from the left column. Copy his/her local and Albany office numbers AND make your call. Let your NY State Assembly member know that you are opposed to the Governor's proposed Early Intervention parent Fee in the Health and Mental Hygiene budget legislation (S. 58/A. 158). 2. E-mail your state legislators via the InterAgency Council's Website to voice your opposition to Governor Patterson's Early Intervention Parent Fee as outlined in the Health and Mental Hygiene budget legislation (S. 58/A. 158). The site http://capwiz.com/iacny/home makes it very easy to send this email. All you do is go to the website, select either "Staff Letter on Early Intervention Issue" or "Parent Letter on Early Intervention Issue". Enter Issue Area as "Budget" or "Children/Families". Then choose your closing, fill in your name and contact info and hit the "Send" button and you've done your part. 3. Add your name to the New York Zero-to-Three Network's online petition at http://www.thepetitionsite.com/1/Save-Early-Intervention-in-NYS. If you can, add a personal note to make it more impactful. And, send an email to friends and family asking them to sign the petition as well. I did all 4. Won't you take action as well? Thanks, in advance, for your assistance in ensuring that New York State's children with special needs continue to receive the critical, life-changing services offered through the Early Intervention program. 6th Annual Conference on Best Practices in the Education of Children with Down Syndrome. Speakers slated to present are experts in the fields of Physical Therapy, Challenging Behavior and Special Education including Dale Ulrich, PhD, Center for Motor Behavior & Pediatric Disabilities, University of Michigan; Jason Kingsley and Mitchell Levitz, inspiration speakers, advocates and authors of the book, "Count Us In: Growing Up with Down Syndrome"; Sanja Cale, PhD, BCBA; Kathleen Feeley, PhD, BCBA; Emily Jones, PhD, BCBA, Beth Laktretz, MS; and Diane Ripple, MS.
Friday's Conference sessions include: AM: Keynote Addresses from Young Adults Katlin Cunningham and Lindsay Belnick; From Chaos to Calm: Organize Your Way to A More Effective IEP, and Jason Kingsley and Mitchell Levitz on Everyday Life with Down Syndrome. PM Breakout Sessions include: School District Panels; Building Relationships in the Community; Essentials for Success: What to Do Now to Secure a Successful Future; Motor Development for Young Children with Down Syndrome; Self-Care Skills; and Developing Language & Literacy Through Technology. There is childcare available on Saturday. Registration ends Friday, March 13th, TODAY, but I'd contact them directly if you can't/don't sign up by today and see if you can register late or on-site. Costs are completely reasonable for the wealth of knowledge being shared. (All-day Thursday pre-conference is $35 for parents/$75 for professionals. All-day Friday Conference is $40 for parents/$85 for professionals.) For more information log on to http://dsafonline.org/ and click on the conference teaser box OR call 516-299-4167. I'll be there on Thursday and Friday at the very least... Maybe Saturday too. I'm very excited to hear more about language development, new teaching methods and the research the Down Syndrome Advocacy Foundation has been sponsoring with regards to educating our special children. I'm also hoping to connect with like-minded parents and professionals to get more involved in advocating on behalf of all people with Down Syndrome... especially right here at home, on Long Island. Hope to see you all there. I'm thankful it's Easter time and BJ's is selling those HUGE bags of special edition Cadbury chocolate Eggs that they ONLY sell during this time of year. I LOVE those eggs. 3 eggs = one Weight Watchers point. (Maybe that's why I've stalled at -6 lbs. LOL). I'm thankful that our new boxer dog's eyes are finally healing and won't cost us any more money we don't have. Molly's severe "dry eye" condition became critical when she began to develop corneal ulcers (We inherited these problems that started weeks before we adopted her almost 2 months ago). The vet was talking about cornea transplants and experimental surgery to reroute a salivary gland to each eye to keep them moist as the ultimate solution if we couldn't "fix" her bleeding, crusty, schmutzy eyes. OY! Fortunately, it appears we might have avoided all that surgery with diligent treatment from our phenomenal vet, Dr. Foy at Terry Animal Hospital in Rockville Center. Despite desperate economic times, I find that I am still me, still hopeful and optimistic (albeit a bit nervous about our finances). I KNOW that God will provide. I KNOW that the doors will open when and where they're supposed to. I also know in my heart, and am thankful for this knowledge, that there's a job out there for me when and if the time comes. As long as I'm willing and doing the footwork, everything else will follow. It WILL all be OK.
No matter what your beliefs, I'm glad I have my faith to give me peace of mind. That's a good thing to have in the middle of raising my children. I'm always open to suggestions regarding how to stay grounded and focused on what really matters. How do you find sanity in these uncertain times? 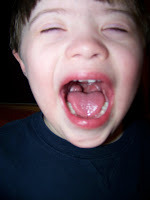 Children with Down syndrome are generally born with a smaller oral cavity. Even with a "normal" sized tongue and tonsils (as opposed to enlarged), things can get pretty crowded in there. 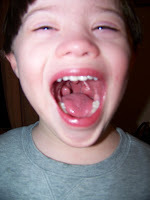 Often, this is why you might see a protruding tongue on a child with Down syndrome. With all that going on in such a small space, children with DS frequently suffer from obstructive sleep apnea (OSA). That is, their tonsils and adenoids get in the way of breathing especially at night when the prone sleep position causes the tongue to relax and drop back into the throat... Further blocking their small airway. 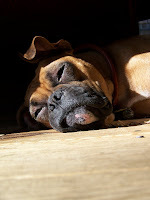 OSA is often marked by stop breathing episodes, followed by deep sucking in of the abdomen and gasping for air, as well as snoring... all potentially resulting in a decreased oxygen supply to the body and brain. And, restless, low-air-exchange sleep means less REM sleep. Less REM sleep equals a greater feeling of fatigue for the sufferer. And, that leads to more and longer illnesses and school absences. Sleep Apnea is also often associated with difficulty focusing and/or attending to task as well as cognitive sluggishness and, in children, has been potentially linked to seizures. This pretty much describes Brian and Michael. However, it is important to note that they don't do the strep thing so much though they are generally sick 3 weeks out of a month. For Brian, a cold turns into a bleeding sinus infection. And, Michael generally develops an upper respiratory infection. 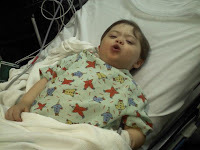 While I've mentioned a lot of this in a previous post, I wanted to expound upon the whole tonsillectomy/adenoidectomy for children with Down syndrome issue as I go through it with Brian and Michael. I finally found and visited a Pediatric ENT -- Dr. Mendhelson -- who has experience specifically with children with Down syndrome -- a very important qualification -- and who accepts our insurance (no small feat). The good doctor confirmed that their tonsils are unusually large (the tonsils and uvula form a bridge across the entire back top of the throat). He then used a scope on the boys to take a look at their adenoids. He was shocked at that Brian and Michael have nearly normal sized adenoids... only very mildly enlarged.... commenting that he'd never seen this combination of enlarged tonsils but "normal" sized adenoids in all his years of practice. The fact that the boys don't suffer from strep throat is an indication that their tonsils are still filtering germs as they should. And, their near-normal-sized adenoids don't present any airway blockage problems. Taking into consideration the potential structural differences of the throat of a child with Down syndrome -- the tonsils and adenoids sometimes act as sort of retaining walls for the soft palate which, upon removal, can collapse (so I've heard). Though this is rare, as a result, I've been told that tonsillectomy/adenoidectomy surgery for children with Down syndrome is performed slightly differently. Instead of removing the entire tonsil and/or adenoid, only a partial removal is done to maintain the structural integrity of the throat. Otherwise, reconstructive surgery is sometimes needed. Interestingly, my boys are not going through the full or even partial removal surgery. Instead, because their adenoids are not obstructing the airway and because their tonsils are still working as they should... BUT, because their enlarged tonsils are significantly blocking the airway, Dr. Mendhelson has chosen to perform an intracapsular tonsillectomy/adenoidectomy. That is, as I understand it, the surgery will scrape part of the tonsil away, as well as any protruding bumps on the adenoids, to enlarge the airway space and relieve the obstruction. This procedure is said to be 90% less painful, less bleeding, less chance of post-surgical complications and the recovery is estimated to be 80% faster/easier for the child. I'm going to go forward with the surgery -- we're scheduled for the end of March -- in the hopes that improving their sleep will improve their health which will improve their performance in all or some areas. I've been assured that my first two goals are in the bag. If we achieve ANY of these outcomes, I will consider it a huge success. Have any personal experience on this topic? I'd love to prepare myself with as much info as possible prior to the surgery. Thanks, in advance, for sharing. Swans and Turtles and Cell Phones... Oh MY! 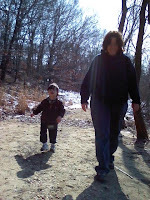 Yesterday morning, my sister, Patti, and I took my 3 kids to Hempstead Lake State Park for a walk on a beautiful Spring-like day. This particular park setting is a natural oasis in our neighborhood -- acres of wooded paths surrounding 3 beautiful serene little lakes. It also happens to be Olivia's absolute favorite place to go whenever we have some free time to spend together. Her mantra, "Hempstead Lake State Park never disappoints!" 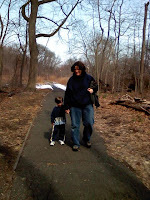 We've seen all kinds of fascinating creatures in this park -- frogs, baby and mama toads, hawks, falcons, turtles, rabbits and bunnies and many other wilderness friends -- defying a highly suburban environment sandwiched between the Southern State Parkway and Peninsula Boulevard. So, it was easy to decide on our destination yesterday. Patti and I were confident that we could keep the boys safely corralled without using a stroller... a first for this particular venue. I have to say, Olivia is always wonderful when she's communing with nature, following new paths, exploring downed trees, climbing the low branches of favorite trees for a better view, and investigating every nook and cranny for interesting finds. The boys were nothing short of amazing too. So well-behaved even I was surprised. They walked along the paths in single file, sometimes requesting a hand to hold to steady their footing. And, as we approached the lake shore, their sometimes dormant cautious-side emerged. Brian and Michael consistently maintained a 1-2 foot distance from the water's edge (something I certainly did NOT expect) and, following their sister's lead, throwing pebbles they found on the beach into the water. Enjoying the splashes they made, they quickly realized that the larger the stone, the bigger the splash. It was pure joy to watch them all. We moved through the woods, pausing at each clearing and beach to throw more stones and sit on another naturally-well-placed log... enjoying the sun's warmth. 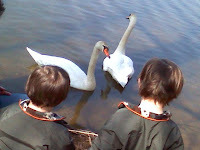 The commotion of 3 little bodies passing along the water's edge did not escape a pair of large swans who meandered across the lake in hopes of a free hand-out. Unfortunately, the swans quickly found that the pebbles Brian, Michael and Olivia were tossing were not to their liking and finally moved on. At another spot, a lone painted turtle floated peacefully at the shore, his head bobbing as the water lapped in. Sure he would paddle away as we approached, he must have sensed my children's gentle nature and stayed to entertain us for awhile before seeking only slightly deeper waters, well within our view. 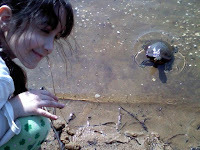 The kids were all thrilled and, once again, Hempstead Lake did NOT disappoint us. 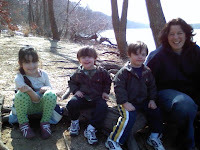 As we rested on a new fallen tree, a perfect spot for a family of 5 explorers, I pulled out my orange (favorite color), "ruggedized" cell phone/camera and clicked off a few more great shots of the kids with their Aunt Patti. She and I were quickly engulfed in a conversation about the beautiful weather and location, Brian and Olivia were still engaged in pebble-throwing and Michael was fiddling with my jacket buttons... or so I thought. It was the flash of orange that caught my eye.... Not to mention the BIG splash. Michael had figured out how to release my cell phone from it's belt clip and just as quickly found his pitcher's arm. He miraculously hauled that thing about 10 feet from where we were sitting... well into the lake. Fortunately, my rapid realization, quick thinking and not minding getting my feet a little wet saved the phone. No one was there to catch Aunt Patti as she just about fell off the log laughing. Poor Michael did not understand why I was initially upset before I broke up into laughter too.... Clearly it was the BIGGEST AND BEST SPLASH of the day! Thank God Tim talked me into that "ruggedized" phone which happens to include a new water-resistant feature. And, thank God metallic orange is clearly visible in 2 feet of lake water. Obviously, all's well that ends well or you wouldn't be looking at these beautiful pictures from our highly entertaining excursion yesterday. Olivia's right... Hempstead Lake State Park never disappoints! Know and honor your happiness commandments (http://walkonthehappyside.blogspot.com/2009/01/my-happiness-commandments.html). Two of mine are to seek my Querencia See link above) and laugh every day! I certainly did that yesterday. I have a husband who loves me and wants to grow old with me. I have 3 wonderful children who are thriving in life. I have a decent roof over my head and a boiler that works (sometimes with prodding). I have a good support network of family and friends who I know, when push comes to shove, will be there for me if I need them. I have a thankful and smiling heart, instead of a bitter heart. I have faith that God will provide for me and my family... opening doors when appropriate. I can see and appreciate the fruits of all my labor. I have been blessed with gentle, friendly and well-behaved pets. Lynn Mazza is the Assistant Chairperson of the Committee on Preschool Special Education (CPSE) in Oceanside. I recently went through my boys' 2nd annual CPSE meeting to determine their educational goals and how the district plans to meet them for the School Year 2009-2010. The meeting, as I've mentioned before, was attended by the Chairperson, me, the boys' teacher and her supervisor from BCCS-Marcus Avenue School, as well as others. As I've also said, it's a stressful process wherein decisions are based upon written evaluations of every aspect of my boys' development. In the middle of our meeting, Lynn Mazza paid me a much-appreciated compliment. As we all know, most of our efforts as mothers are rarely recognized... Or perhaps, not until much later, if at all, when our children are adults themselves. So, mothering is sometimes a thankless job. (Heads nodding?) Well, Lynn praised my efforts as a mother saying to their teacher and her supervisor that they were lucky to be working with such a proactive parent who was genuinely interested in and capable of carrying through and even expanding upon developmental and school activities in our home. She went further to say that my efforts were clearly evident in the progress and achievements of Brian and Michael and that they, the teachers, should absolutely take advantage of my willingness and ability to participate in the boys' education. At a time when I was feeling severely under appreciated (perhaps a topic for another post) and left out of their educational process -- since they're in a full-time preschool program -- this statement was a well-timed boost to my sometimes suffering self-esteem. Thanks Lynn! Mary is my second personal Angel Amongst Us, much in the same way Lynn was, is Mary. Mary is one of our favorite nurses at the kids' Pediatrician's Office, Dr. Zaso. Much to our surprise, Mary happened to be one of about 30 students I met with last Saturday at Nassau Community College (NCC). As I do every semester, I visit with local college students planning for careers that involve children with special needs. I introduce them to Brian, Michael and Olivia in an effort to put a REAL face on Down syndrome... Something no text book can possibly do. And, though I seldom get real feedback, it seemed our talk was well-received by this group of students. 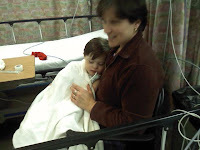 A few days later the boys took ill and we had to pay our Pediatrician a visit. Mary, as always, was there to receive us with genuine enthusiasm. She complimented me on my children's extraordinary behavior on Saturday and added how impressed she was with me as a mother and how much she loved my candid talk regarding life as a parent of children with Down syndrome. She told me how appreciative she and her classmates were that I took the time to do this. And, she said that our visit to NCC was a real eye opener for them with regards to the effort and rewards of parenting a child with special needs. Another simple, well-placed compliment that boosted my spirits at a crazy time when every appointment on my calendar is scrutinized to determine just how important or necessary it is. Her encouragement will certainly help to sustain my advocacy efforts on behalf of people with Down syndrome knowing that my visits effectively expose these future therapists, educators and caretakers to what's possible... Not to mention that it helps pave a more peaceful path for Brian and Michael as more people come to truly accept individuals with Down syndrome as viable and contributing members of our society. Thank you, Mary. You're an Angel for saying so! Be an Angel Amongst Us today and pay an honest compliment to someone who deserves hearing something good and positive and personal. Often, we have no idea how invaluable such feedback is until we are on the receiving end of it at just the right moment. I can hardly believe myself how much these brief and simple compliments helped to boost my mood and feelings of self worth. I realized after my "Who's On First?" conversation with my mother the other day that I don't laugh -- REALLY laugh... hard... 'till I cry -- as much as I used to and not nearly often enough. And, when I do laugh 'till I cry, I find that my entire mood is lifted for the rest of the day. It's as though an "everything is amusing" hormone has been injected straight into my veins. Generally, I find more things are funnier once I've cut loose and really laughed. Unfortunately, it's not like you can plan a conversation like the one I had with my Mom about pot roast. Things like that have to happen spontaneously to be really funny. However, there are ways to seek out things that bring on a laughing spell. I have a couple of friends who have an uncanny way of knowing just exactly what will tickle my funny bone and they don't hesitate to email me videos, pictures and jokes that fit the bill. Sure I get some emails that I don't think are funny at all, some that make me smile, and some that warrant only a chuckle. But, every so often, I get that email that just knocks me right off my chair... laughing. I always save these in my "Funny" folder for future reference. I also have a couple of videos of my kids that absolutely crack me up. Not only do they make me laugh but they bring back fond memories of good times shared (and captured on film). Every once in awhile, I search these videos out and rewatch them for a laugh. Does my heart -- and mood -- good. 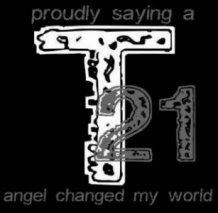 So, I thought I'd share a few of these videos: 2 of my kids and 1 a video clip link that was forwarded to me by my sister (she always forwards good material). Warning: You might get a glimpse of my strange sense of humor through these videos. As I've said before, admittedly, it's a bit bizarre and, clearly, runs in the family. So, I'm sorry, in advance, if these just don't tickle your funny bone. The point, really, is to find what does and press rewind whenever you need or want a good laugh. Disclaimer: No one was hurt during the filming of any of these videos. Hope you enjoy these few choices from my "funny" file. Build a "funny" file for yourself. Foreword: This post is about the emotional side of the CPSE and performance evaluation process. 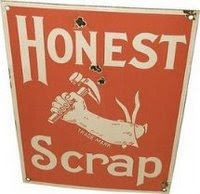 I bear no ill-will toward, and actually have great confidence in, my CPSE co-members. The Committee on Preschool Special Education (CPSE) is the post-EI (Early Intervention), pre- CSE (Committee on Special Education) answer to educating a special needs preschool child in New York State. I've said this before but it warrants saying again because it is just another huge point of stress for us parents of children with special needs: While parents of "typical" kids are choosing preschools based on program, proximity and cost, the parents of children with special needs get to meet with a 5+ person committee to decide where their children will go to school, how long their preschool day will be and what services their children will receive. It is not my decision though, admittedly, there are checks and balances in place to help the parent and committee come to an agreement. These include getting up and walking out without signing off and/or legal grievances, the possibility of which, honestly, just adds more stress to an already stressful situation. To kick-off the process, each of my child's therapists and educators completes an annual evaluation using a standardized test selected by the evaluator. Based on the boys' performance, reports are generated scoring every aspect of their lives: Cognitive, Social/emotional, gross motor, fine motor, and behavioral. Re-reading this, that doesn't sound as bad as it feels no matter how well my children perform. But, of course, it feels much worse if they've performed less well than I'd hoped (and I'm a glass is half full kind of Mom). The process reduces my beloved Brian and Michael to a series of numbers and percentiles based on comparison to "typical" children, all neatly bound in a big, thick, multi-page report. It does not speak to how hard they tried, whether they slept well the night before the test or whether they're suffering from a cold, cough or any other ailment. It does not tell how many times they did pull-ups on the rings hanging from my kitchen ceiling or how many hours they wrote, perfecting their grip, attempting to imitate a square or the letter "B" or "M". It doesn't describe Michael's smile when he finally "gets" it or Brian's victory dance. For me, this evaluation process is a sometimes devastating, and occasionally surprising, representation of how they perform the specific tasks on the specific tests, on the specific day, at the specific point in time that it took place. It does not come close to introducing anyone, let alone the committee members, to who Brian and Michael are. Still, based on these scientifically correct measurements of every aspect of my sons performance (but inadequate measures of who they are), all decisions for their education until August of 2010 are decided. Please note that none of these decisions are "final". All are changeable by reconvening the committee and rehashing the prior criteria by which the decision was made and/or introducing new evidence that warrants a change. But, for the 2 days prior to my boys' CPSE meetings when their therapists seek me out to discuss details (if I'm lucky), and I receive those reports (which, for reasons mentioned above, are sure to raise any one's blood pressure), and for the full 2 hours of their meetings, STRESS is my middle name and HOPE is what I hang on to... The hope that all decisions made are with my boys' best interest in mind and that everyone in the Committee for Preschool Special Education -- especially me -- agree on a plan for the next phase of their education. Ever try to lose weight? You've eaten mostly well-balanced meals, significantly cut back on snacks and sweets and the day comes to measure your efforts. It doesn't matter that the kids were home from school this week. That your hubby took you out last night for a birthday dinner or that it was Valentine's Day. The weigh-in is inevitable... And, it's always better if it happens first thing in the morning, before breakfast, after your morning potty, stark naked, pre-shower (skin absorbs water and wet hair weighs more), you lean carefully on the bathroom vanity and slowly lower yourself onto the scale just as you exhale every last breath of air in your body and..... HOLD. Wait those 3 seconds for the scale to stop flashing and the number freezes in the digital pane. In that moment, all your efforts and everything you are is reduced to that number on the scale. And, that number determines entirely how you go forward. Will you eat the muffin or a low-fat yogurt? Cancel the lunch date or order a salad? Whether that number is good or bad in your mind, whether it's what you expected or a total surprise, it can make or break your attitude for the day. Have you been there? Doesn't feel good being reduced to a number, does it? That's how I feel about the CPSE & Performance Evaluation process. I've been trying to find new dinner dishes to feed the family. More specifically, I'm looking to expand my children's repertoire beyond pizza, burgers, hot dogs, Wendy's, Michelangelo's Meat Lasagna and.... THAT'S IT! Literally! No macaroni and cheese. No spaghetti. No pasta at all. No chicken (that was a new development) and, the last two times I tried, no pork either (also a new distaste). So my husband tells me that his Mom used to make a great pot roast. Of course, his Mom was full-blooded Italian and grew up cooking. Me? Full-blooded Irish. No need to expand on that... right? So, I'm determined to try a pot roast. (As long as I've got 2 slices of frozen pizza in the freezer to feed the boys when/in case they turn down my latest concoction, I'm willing to try almost anything.) Once at the store, I discover there are seemingly hundreds of different cuts of beef one can choose from. ALL, apparently, for a different meal. Without access to my Betty Crocker paperback cookbook to reference, I attempt to ask a man examining various meats who looks like he knows what he's doing. Unfortunately, he was either deaf or didn't understand English. Either way, I gathered no useful information from him. Finally, I ring my Irish mother up on the tele. Without any ability to compare my Mom's pot roast to my mother-in-law's, I suddenly recall that Mom also made a decent pot roast in her day. First of all, I should explain that Mom's hubby has CP. When he answers the phone, I explain that I have a cooking question. Instead of retrieving my mother, he says, "Ok, shoot." Not a little surprised, I ask "What kind of meat do I buy to make pot roast?" The long pause should have given me pause.... WHAT? I quickly realized that no amount of repeating was going to help he and I communicate. (Now, I'm thinking that other man must have been deaf.) Finally, he puts my Mom on the phone. Me: Hey, I want to know what kind of meat I should buy to make a pot roast? Me: I don't see a rump. But I have a round bottom! Mom: I never heard of a round bottom. There's no rump? Me: Nope. I don't see any rumps. Mom: What kind do you have? Me: I'm holding a round bottom in my hands right now. Mom: I don't know. I'm not sure that's the same. Me: Is there a difference between a rump and a round bottom? Mom: I'm not sure. Are you at the store right now? Mom: Why don't you ask someone there? "Do you know the difference between a rump and a round bottom? Thanks for my all-out-belly-laugh for the day Mom. It sure does feel good to laugh til you cry!